Online casino games provider World Match has released Scary Fruits HD, a Games Farm slot from the software division of Dalla Pria Entertainment Group. The release of this first title is part of a wider agreement that World Match recently signed with the historic Italian brand. 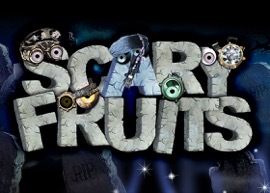 Scary Fruits HD is a thrilling five-reel, three-row slot that captures the player's attention with its comical characters and detailed graphics with vivid colours. The slot is jam-packed with special features, including the free spin and a great stacked wild, offering players the chance to scoop huge jackpots. “The partnership with the software division of Dalla Pria Entertainment is going to be very substantial and fruitful,” said Andrea Boratto, executive director at World Match.